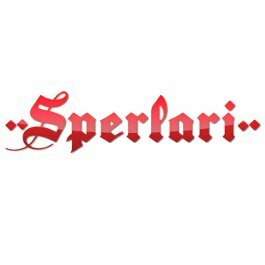 Lea f Italia, maker of Sperlari, Dietorelle, Dietor, Pringles, as well as other brands, was not found in breach of UK advertising regulations (which are similar to those found across the EU) by the ASA. 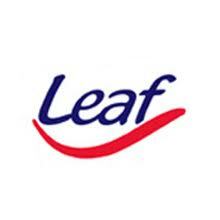 The use of an online game with fruit had been questioned as it suggested that eating Leaf’s candies was equivalent to eating fruit. Leaf said the purpose of the game was to encourage children to eat fruit, but ASA found that this was unclear. Yet, because individuals exposed to the ads are old enough to differentiate flavored candies from fruit, and would understand the “landmarks” were the flavors of the candies, not actual fruit, and would not imply that the candies had nutritional benefits, ASA decided that the ad ” was unlikely to give a misleading impression of the nutritional and health benefits of the product”. In our view, it should be noted that ASA has not hesitated to investigate the ads of a business which has its office elsewhere in the EU. On the other hand, ASA seems not to have taken a hard line over online games which are increasingly common, and link a brand of food which is not necessarily in line with recommended nutrient profiles with healthy nutrition. At the same time, as a note of caution, it should be noted that the explanations of Leaf were largely rejected. Therefore attention is recommended, as other authorities across the EU may take a different stand. Communicating food recalls to consumers is becoming more common in Italy. Leaf Italia, owner of the Sperlari brand, has gone public with a foreign body-caused recall of pralines. This breaks with Italy’s reluctance to go public with recalls, even if – interestingly – the company has prohibited the copying or distributing or discussing the press release issued on their website (for that reason we do not link to it; this discussion is based on what is reported on another source, see below). “Companies in Italy have in their procedures to go public in these cases”, says Hylo’s Luca Bucchini, “Nevertheless, companies and national authorities have hesitated on the ground that ‘nobody ever goes public with a recall’. This is clearly changing. For example, last year, Carrefour went public. In this case, one should also note that foreign bodies in Italy have always been a low priority for regulators, in contrast with the UK or the US. As in other EU countries, regulators focus on microbial or chemical risk. This is therefore a significant departure from tradition, and we expect to see more of this since regional authorities are eager on this, and several companies were just waiting for someone to break the ice”. At Hylo we believe that ordinary recalls, even if publicized, when no serious illnesses are involved, are not detrimental to a brand – Ikea is perhaps the best example – and are in line with EU law. 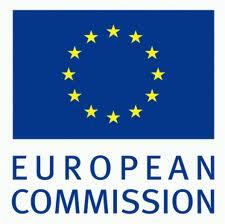 The European Commission has adopted a new Regulation, implementing Regulation EC 1333/2008. The new Regulation includes list of food additives intended for foodstuffs and food ingredients. The lists will replace lists under Directives 95/2/CE, 94/36/CE and 94/35/CE in 2013. The Regulation also foresees that anti-caking agent silicon dioxide can be used for salt substitutes at higher levels and that the coating agent basic metacrilate can be used for food supplements. These specific rules will come into force 20 days after the publication of the present regulation, on December 2 2012; the general list apply on 1 June 2013. Products legally marketed before 1 June 2013 can continue to be sold. It is interesting to note that the list is divided into categories for different foodstuffs. The category for food supplements is number 17 (solid form such as capsules and tablets, liquid form, syrup or chewable). It is noteworthy that category 13 is food with particular nutritional purposes; foods for sportsmen are not included, further confirmation of the upcoming abolition of this category (if not abolished, theoretically from June 1 2013, no additives would be allowed in foods for sportsmen, as well as in other dietetic foods for which specific rules have not been set).